The Wireless Pro Fighter 8 is a third-party accessory for the Sega Saturn created by Naki. 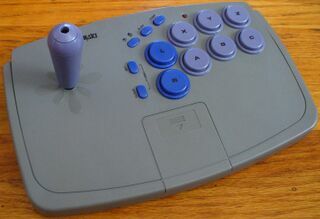 It is an infra-red arcade stick with turbo features, acting as a wireless version of the Pro Fighter 8. Naki also released a model for the PlayStation.